If you get an extra ordinary transparent speakers, you need to upgrade rest of the Audio system. We builds amplifiers for their customers only. They use custom manufactured FINEMET transformers and Urushi finished capacitors. They simply do not have production capacity. Our CV4055 push pull amplifier is known as a Giant Killer.My TA-300B (Takatsuki 300B made in Japan) SET with all custom made Finemet irons is great pair with our fullrange drivers! Our Transformer is designed and manufactured by Mr Suzuki. He is the most well known field coil speaker designer in Japan, as well as FINEMET Transformer designer and manufacture. He also supplies transformers to well known Japanese high-end audio manufactures. Our custom FINEMET Transformer has far better dynamic phase response than transformers with conventional core materials. We spent about a year trying to find capacitors that can perform well with our custom FINEMET Transformers. We gave up finding off the shelf capacitors, and Mr Teramoto came up with his magic. 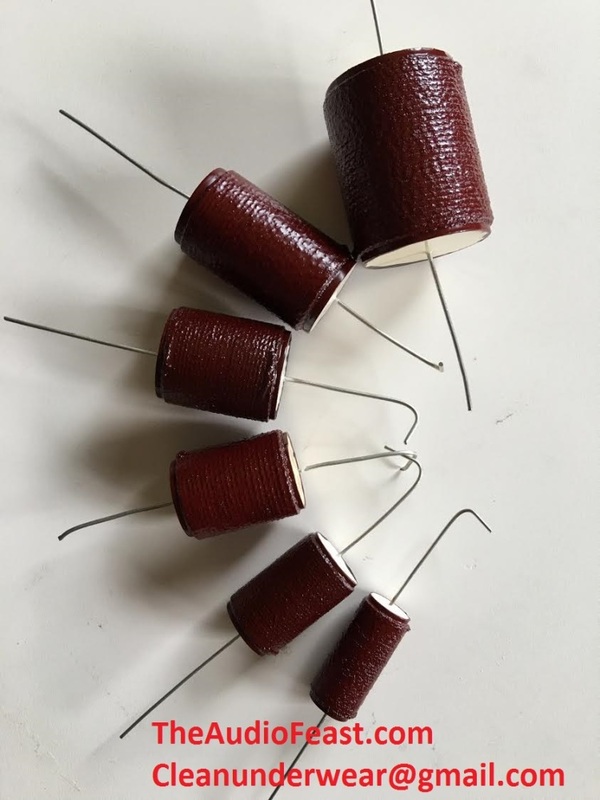 Urushi finished capacitors. He needs to treat them one by one with his hands. Urushi material acts like poison ivy juice. If you touch them before it cured, you will remember it for life! Mr. Teramoto is kindly sharing his Urushi Capacitors with us! Urushi finish requires painfully long process. If you need large order, please contact us before placing your order.